View our rental policies here. Check in is 4pm on the day or your arrival and check out is 11am on the day of your departure and it couldn’t be easier! On the day of check in simply arrive at Highwater house and the lights will be on, the door open and the keys waiting inside for you. You will also find a welcome package with a small gift to help you settle in and the contact information of our property manager should you require any assistance during your stay. Checking out is as simple as leaving the keys on the table, locking the door, and closing it behind you. Occasionally we can accommodate early check ins or late check outs, and a small fee may apply. Please inquire prior to your arrival. Yes. Pets are welcome at Highwater, but please notify us during booking. A one-time fee of $50/pet applies. Please read our pet policy to understand requirements of pet owners staying at Highwater House. Bring your own toiletries and clothing (include something cozy plus rain gear and gumboots), etc. Bedding, linens and towels are supplied. Groceries and anything else you want or need, can be purchased locally. Smoking is prohibited inside of Highwater House. Guests may smoke on the decks, please use shell ashtrays provided. A $250 fee will be applicable to guests who violate this policy in order to cover the extensive cost of restoring Highwater House to a smoke-free condition. Do not throw butts on ground, in the river or ocean. Yes. The nearest gas station is in the town of Masset, and provides all basic services including gas, diesel and mechanics. Can we go crabbing or fishing nearby? Yes. There are two fire-pits located on the property for your use (one in the front and one in the back). Keep campfires on the property in the designated areas only. Beach fires are permitted anywhere at or below the high tide line, but note that fire bans or restrictions may be in effect during the summer months. Please check with the Ministry of Forests for more information prior to your visit. 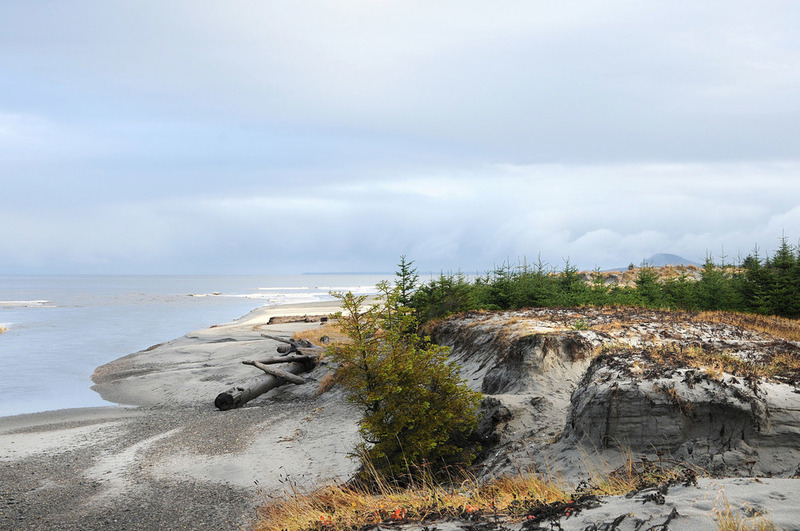 Haida Gwaii is full of new and exciting things to try all year round. No matter where you are on the islands, you'll find yourself surrounded with beauty, inspiration and friendly faces. Tow Hill offers beachcombing, hiking, surfing, kayaking, fishing, crabbing, golfing and beyond. Check out our Visitor Services page for great ideas and information. Can we have house cleaning during our stay? Yes. Everything you need to keep things clean during your stay is on site but if you prefer to have the house cleaned for you during your stay, services can be arranged for an additional fee. How much does the house move? Will I experience motion sickness? No one has ever experienced any kind of motion sickness or vertigo while staying at Highwater House. The movement is very subtle and often unnoticeable. Is there phone or internet service? Cell phone service is limited to the Telus network including carriers such as Koodo and Rogers. There is no landline or internet access (except through cell service).